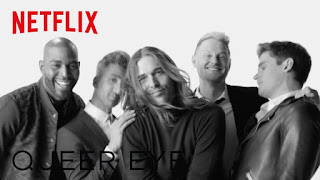 If you want to get a decent snap shot of how it feel to be gay around the church today, you could do worse than watch the first episode of season two of Queer Eye on Netflix. Catch up: Queer Eye sees five gay guys come and in a week help transform some poor straight bloke somewhere in Georgia into something like the man he always thought he was. Or wanted to be. In the truck as they go to meet Miss Tammye in Gay, Georgia (yes, there's a town called Gay) the Five talk about their response to helping a church. One says he loves Jesus - it's the church he has issues with. One says he's always had great experiences and love from the church. One can hardly bear it; his upbringing was very religious and he just can't go into a church now. Not just Miss Tammye. Not just Myles, her gay son. Not just making over a church hall. Bobby clearly worked like a hurricane in transforming the community space - the major win of the week. But we saw nothing of his work during the week. Nothing of his explanation of it. Nothing really of his reveal. And it was Bobby who couldn't go into the church. Sometimes you just work through the pain. And sometimes you draw a line. At the end of the show, we get to see how the subject of the week enjoying the results of the work with friends and family, whilst the Fab Five watch on a TV from their sofa in their loft. We get to see Miss Tammye enjoying the results. We get to see her pay fulsome praise to the gay guys who have transformed her church's hall, and to her own gay son. We get to see some faces in the church not quite sing from the same hymn sheet. We get to see one face pixellated out - something I have never previously seen on this show. And we don't get to see the guys watch. We don't get their common reaction. Make the leper lose face for being unclean? Make the deaf feel dumb for being disabled? Or might he just possibly love the person in front of him? Is it too much to ask the followers of Jesus to follow Jesus? Because when we take his name and then do our own sweet thing, we hurt people so very, very much that it is beyond a crime. So far beyond a crime. Just yesterday I had a gay friend sit across a table from me and ask how I do it. 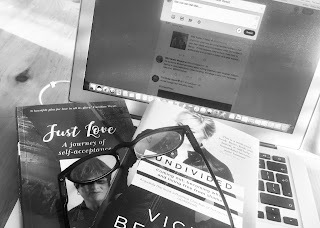 How I stay in the church. I totally get the question. It makes me weep when I see failure in the church on this - when I see real human beings treated worse than you'd ever treat a stray dog. In the church. And I stay in part because I am a vicar and I can make sure that doesn't happen here; not on my watch. And I stay because some of us are called to open our hearts and our mouths and cry out truth and love. From the inside to the inside. Repent in dust and ashes. And act. Actually change. Work as hard as we can to be more like the for-real Jesus. Thank you Fab Five for this show. Thank you for showing just how hard church can be for gay people. I'm sorry it was a thing. I'm sorry it is a thing. You want to come and do your stuff in my home or my church? My dog & I will welcome you any day. And we'll laugh, and we'll weep, and we'll look forward to the day when God will wipe every tear from every eye.